Beach season is just around the corner, how are your beach bods going?? Aside from that, it is also important for you to find the right beach essentials to pack in your beach bag. 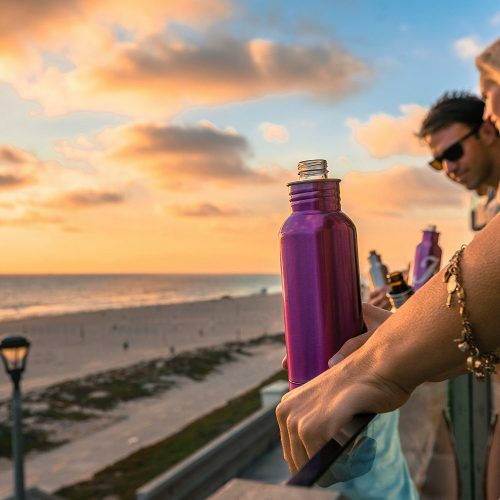 Ahead, we’ve rounded up the best accessories to keep you protected from the sun, surf, and sand, and to make sure your day off in the sun is as fun and relaxing as possible! 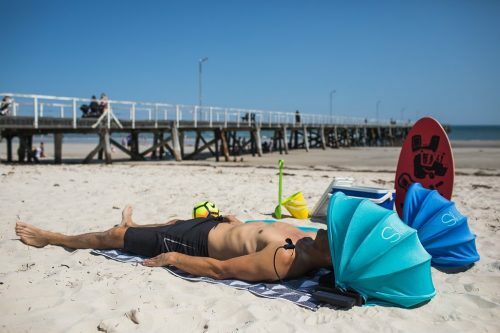 The Shader is your perfect companion at the beach, it is designed to keep your face protected and covered as the sun moves. It’s fully adjustable, laying flat when not in use, but fully covering your face when necessary. You can even use it to protect your food and drinks from going stale! 2. CGear Sand-Free Mat that makes Sand, Dirt, and Dust Disappear! 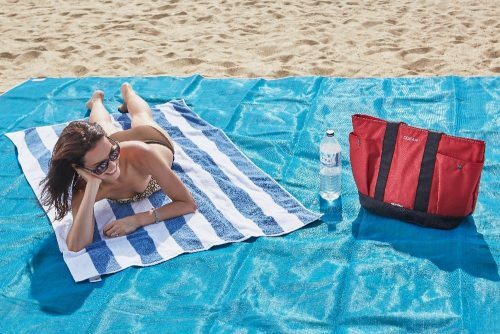 The CGear Sand-Free Mat NEEDS to be in everyone’s beach bag this summer! Thanks to its double layer weave of 100% synthetic mesh, all the sand is sent through the mat instead of staying on it. It’s also easy to clean! 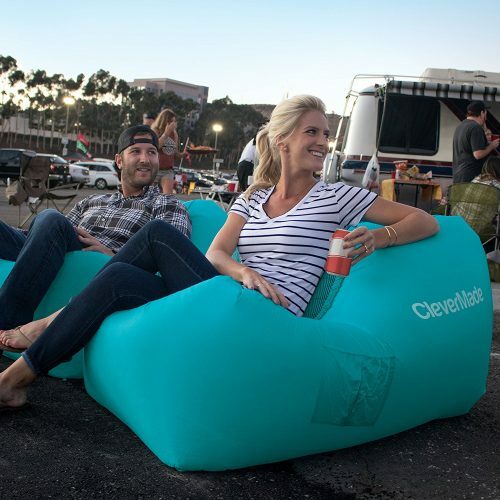 The CleverMade QuikFill AirChair can inflate to a full chair in just seconds! Weighing to as light as 3 pounds, its durable nylon rip-stop fabric can hold up to any outdoor conditions. Say goodbye to oversized and heavy quad chairs to outdoor events. Plus, it has a side pocket for easy storage! 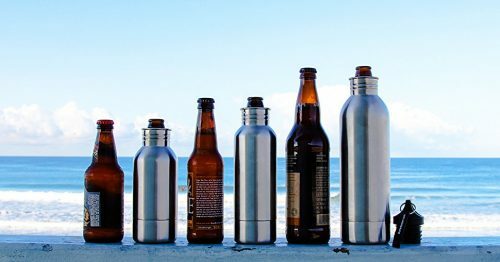 The BottleKeeper is great for the person who hates warm beer and broken bottles! As a matter of fact, that is why BeerBottle was invented. It’s padded, lined with neoprene, and the cap seals the bottle. Plus, the cap is even designed to keep bottles of any height protected. Cold beer not included. Bummer, we know. Whether your going to the beach, camping, or just enjoy being outdoors, Sombra is for you. 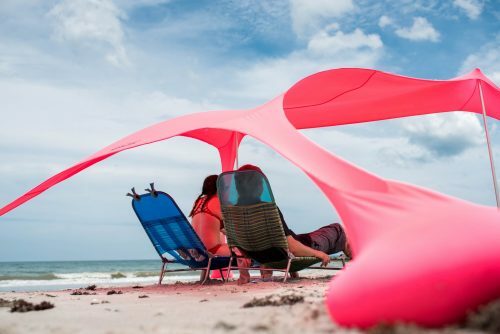 The Sombra Shade is a lightweight tent that protects you from the sun without any bulky setup! Simply spread the fabric, fill the bags with sand, then set up the poles. It’s water-resistant, ultra-portable and easy to carry around! We hope this article helps get your prepared for your next trip to the beach or outdoor activity, if you have any other tips to share, feel free to leave us a comment below!